Yeah, yeah, it’s a tough market. And ya gotta have what the people want, right? Of course! Recently the good folks at Nimlok headquarters in Chicago approached us and inquired if we would be interested in representing them in the Northwest and more specifically, in Oregon. Given our long-time affiliation with Classic Exhibits in Portland, we were hesitant, but decided to check it out anyway. Nimlok brought quite a bit to the table. 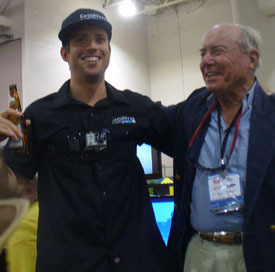 And while their product line does cross over some with Classic Exhibits, there is enough difference between the two (and they are aggressively marketing the brand online to help their dealers), so it made sense to take a closer look. 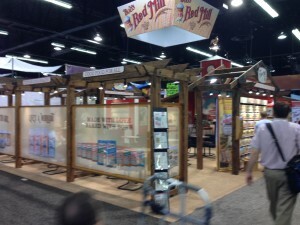 Classic Exhibits for years has excelled in high-quality, low-to-moderate-cost portable exhibits. 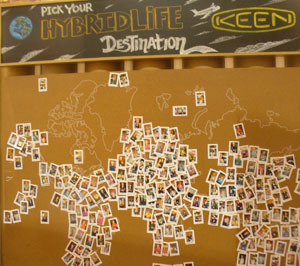 In the past few years they’ve expanded to custom-hybrid exhibits. 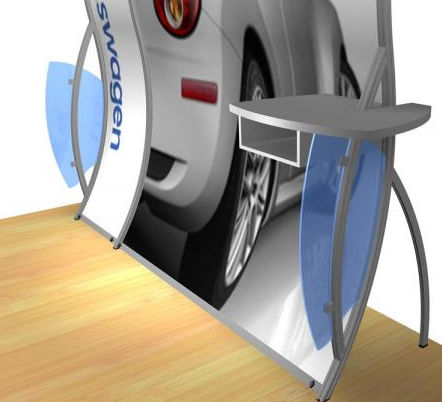 Nimlok made their bones years ago on quick-and-easy pop-ups and portables as well, but also in recent years have expanded greatly, becoming a leading vendor of high-quality aluminum exhibits and fabric graphics. They’ve invested heavily in state-of-the-art fabric production, which was really the element that tipped the scales. Being able to keep graphic production in-house means having complete quality control. They have new aluminum framing systems and exhibit approaches that are out on the leading edge. When at the Nimlok New Distributor Boot Camp in July they showed us a new truss that’s capable of spanning 30 feet without any support other than at each end. Drop a seamless fabric graphic up to three meters tall below that and you have a dynamite tradeshow back wall. So even though there are similarities, there are enough differences that to us it makes a good fit. Meanwhile, back at the Interpretive Exhibits ranch….our in-house talents are geared to ‘one-of-a-kind’ custom design and fabrication that is well suited to museums, visitor centers and unique tradeshow exhibits. Our clients, such as Bob’s Red Mill, Kettle Foods, Nancy’s Yogurt, Natracare, gDiapers, Bi-O-Kleen, Allegheny Teledyne Wah Chang and many others have all been knocked out by the design and fabrication skills brought to bear on their tradeshow exhibits. Not being a designer, I am often amazed too at what our team comes up with. Classic Exhibits is out go-to-source for the low-cost smaller modular and pop-up exhibits, and we’ll continue to use them. Truth be told, exhibit-buying is off quite a bit in the industry. 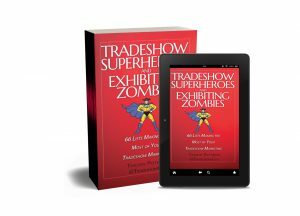 But with the economy appearing to turn around, we feel we’re in a great position at Interpretive Exhibits when those tradeshow marketing purses start to open up a bit more.